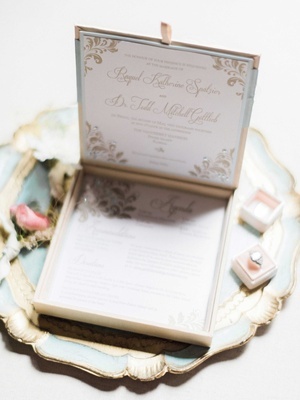 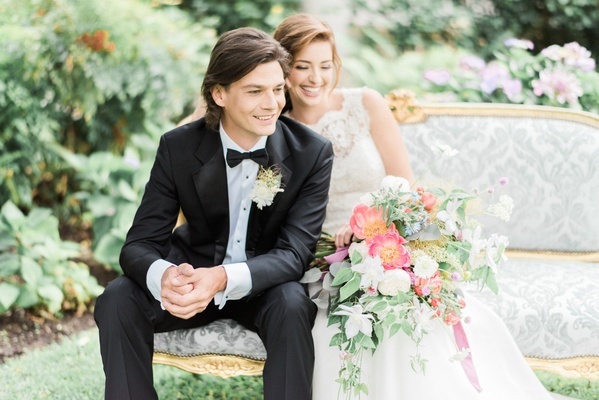 Have you always dreamed of an elegant garden wedding, yet now that you’re in the planning process, you find yourself gazing longingly at on-trend boho-chic designs? 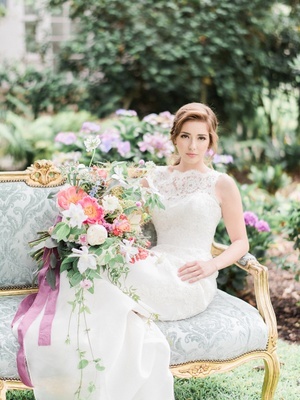 This styled shoot featuring two gorgeous JINZA Couture Bridal gowns is sure to inspire brides who want to blend different décor elements into one beautiful day. 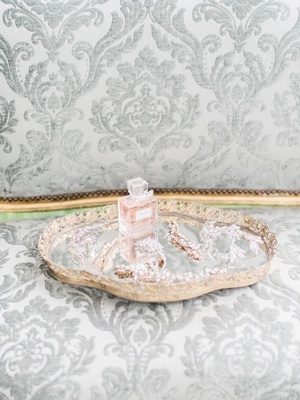 “This photo shoot was derived from a sense of the Victorian era, with the focus on elegance and a touch of lace, lush flowers, and fine accessories,” explains Debbie Liaw of Aquafuzion. 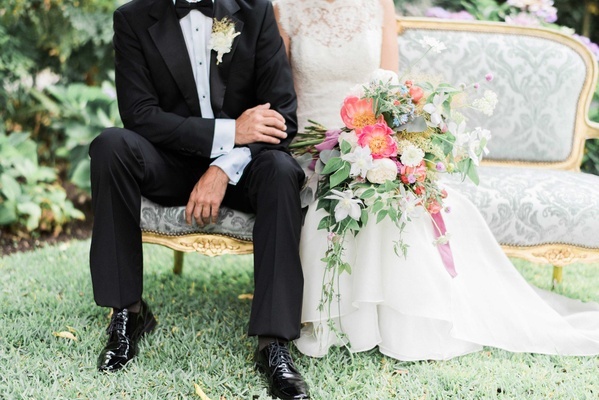 The model bride, wearing a boat-neck gown in French Alençon lace with a satin-organza skirt, sits on a lovely vintage settee while looking straight out of a Victorian painting. 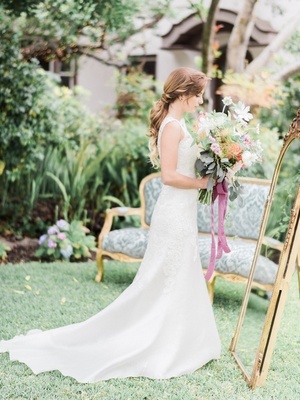 “The dress is an ideal choice for a bride who is looking for a classic, but elegant look,” says Grace Pei, owner of the JINZA Couture Bridal boutique in Los Angeles. 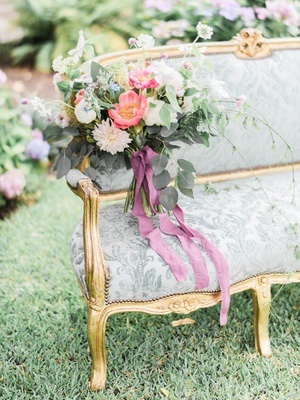 However, the lush, oversized bouquet – composed of peonies, scabiosas, tweedias, clematis, clovers, smokebush, and seeded eucalyptus – that the model holds showcases a bohemian style. 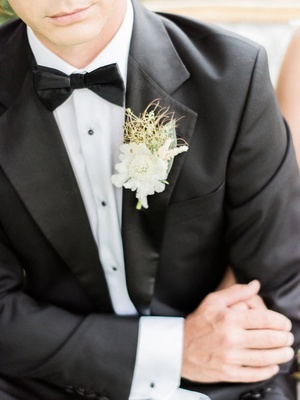 The model groom wears a classic tuxedo, but his scabiosa boutonniere reveals a less-traditional slant. 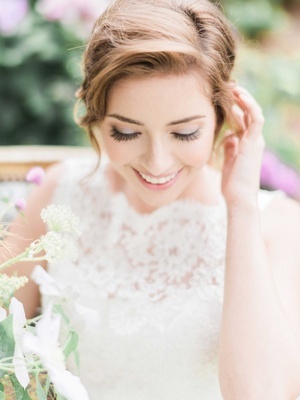 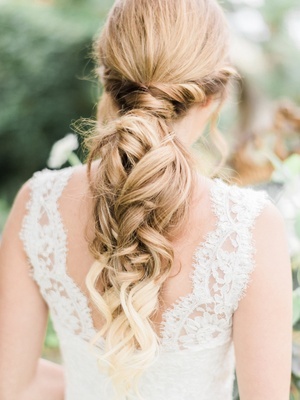 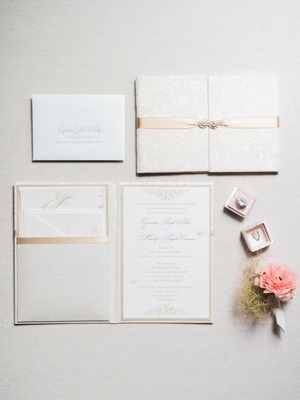 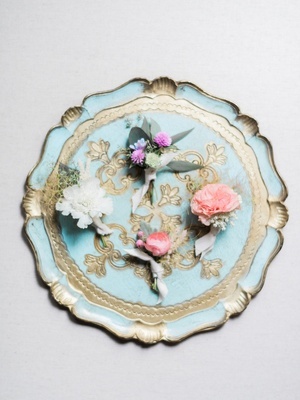 For more styled shoots to inspire your wedding day, click here.